A man has been charged with assault, possession of an offensive weapon and stealing travel passes after being apprehended by police. 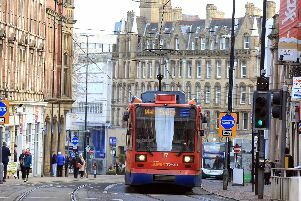 The man is alleged to have stolen two travel passes and had a metal bar as well as carrying out an assault, South Yorkshire Police said. He was arrested on Victoria Street today (Sunday) after the offences on Saturday night. The man, aged 25, was remanded in custody and will appear at Sheffield Magistrates Court on Monday morning.